I like what I have seen of 2012 so far apart from the fact that, today I am languishing in bed with a horrid virus. But I am cosy, with the dog on one side and my cat on the other. So I thought I would catch up with you. This year I want to spend more time reviewing things on this website so if you have any yarn, books or natty gizmos that you are dying to find out more about but aren’t ready to commit the cash to, just let me know. I will also be running the odd competition to win goodies so don’t forget to book mark me. So my yarn diet is well and truly over, thank goodness. I really don’t think I could have gone another day. I have bought yarn but interestingly my first port of call for any project is still my stash. I seem to have reset my inner magpie so that I don’t just reach for the credit card with every new knitting pattern I come across. 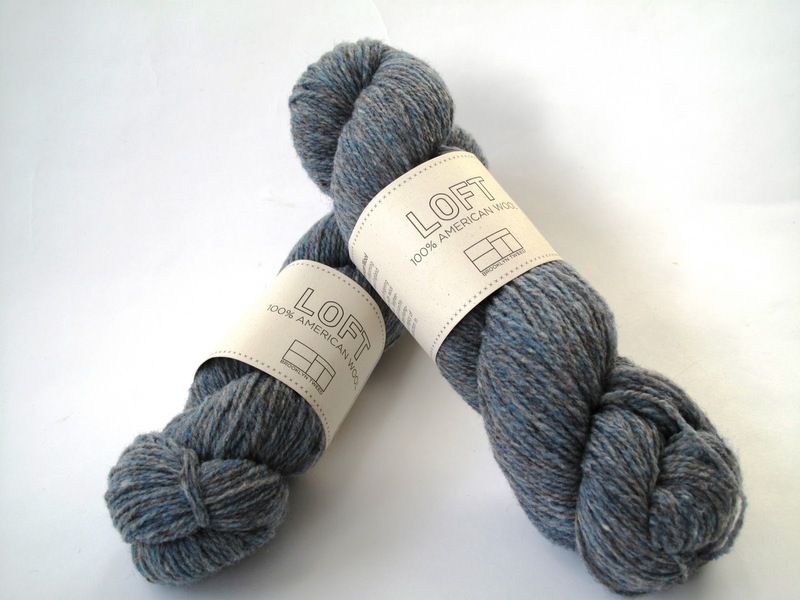 Thank goodness for my dear friend Phyllis who brought me Brooklyn Tweed’s loft as a pressie. I have had some real fun over Christmas with felting. 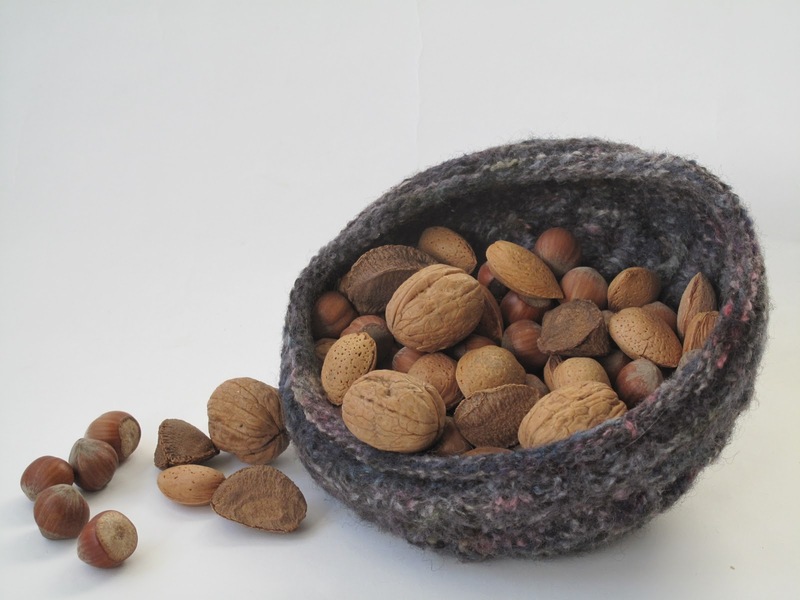 I had knitted myself a lovely hat from Carol Fellers book in Hullabaloo from Colinette. A fascinating yarn. The hat didin’t suit me to I felted it, then cold rinsed in in starch and hey presto! I have too many projects on my needles but I particularly like the Inspira cowl. 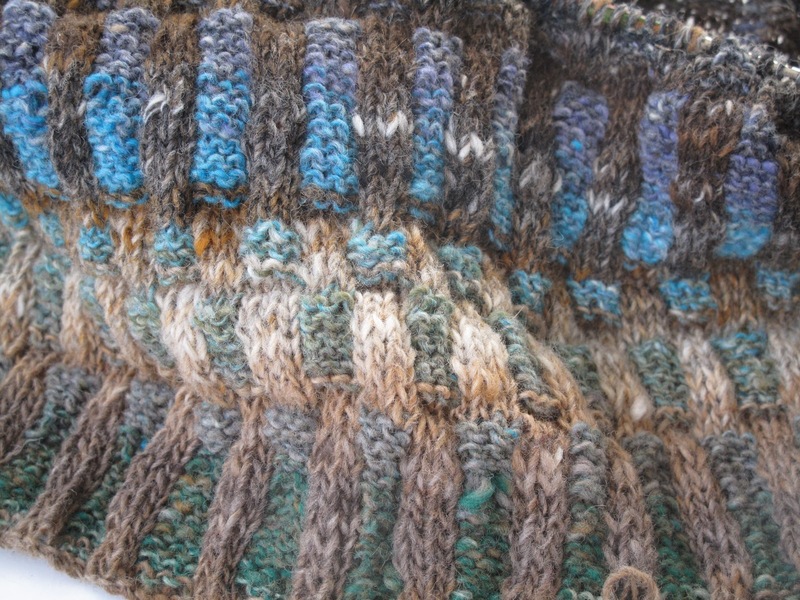 I am using 2 different colours of Noro sock yarn and just love the way the colours are coming out against each other. Not yet sure if this will finish up as a cowl or a cushion. What do you think?